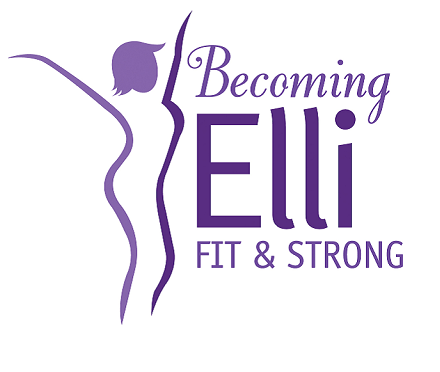 Here at Becoming Elli, we focus a lot on fitness and exercise. After all, we’re a community of women over 50 who help each other be fit and strong. We also share recipes and food ideas. For the first time, we’ve collected some of our favorite recipes at Becoming Elli and are making them available to you in our e-book, Fitness Food. We decided to collect some of their favorite, go-to recipes and share them with the Becoming Elli community. We’ve cooked these dishes, tested the recipes, and enjoyed sampling the dishes. 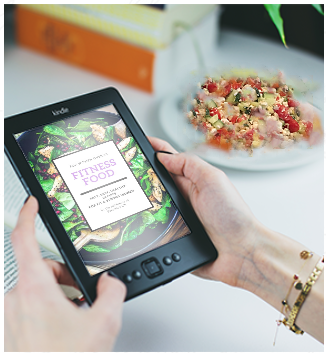 Fitness Food is the e-book for busy women who are trying to take care of themselves, take care of others, enjoy all of the things that life brings, and still eat in a healthy way. We’re not trying to spend hours on food preparation, but we want to eat home-cooked meals. We want to eat a wide range of healthy, nutritious foods but we don’t want to spend a lot of time cooking because we’ve got running to do or bicycling or lifting weights at the gym. Plus, we want to garden, play with our children or grandchildren, visit with our friends, and hang out with our life partners. Becoming Elli’s recipe book, Fitness Food, focuses on quick, easy to make dishes with step-by-step directions. These are our tried and true recipes that we make regularly and find that they are reliable and easy. If you are looking for meals that are easy, but not prepackaged, look no further. Recipes cover breakfast, snacks, entrees, side dishes, salads and even includes a few desserts. There are recipes suitable for vegans and vegetarians as well as for those following Paleo or Ketogenic ways of eating. These recipes save you time, promote your health, and will help keep you fit. They’re easy to make and your family will enjoy them. Sounds like we’re promising a lot, but we’ve tested these recipes and enjoy eating them ourselves. Complete with photos and lots of notes on variations and ingredient options, you’ll find something you’ll love in Fitness Food. It’s always better when you can see what you’re doing. It’s not easy to find recipes that are easy to make, healthy and delicious. This collection of Becoming Elli’s favorite recipes helps address that problem. 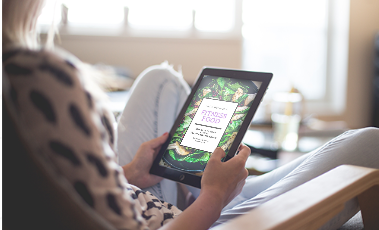 This 27-page collection of Fitness Food recipes is delivered in a format that makes it easy to access. You can download the e-book, save it and then print only the pages you want to use. Some people find it easier to print the page and keep their recipe next to the stove. Or work from your phone, iPad or other mobile device. It’s entirely up to you. You can choose to print out the whole e-book, or just one recipe page at a time. We designed this e-book to be easy to use. Only $4.99! This is what the publishers of Becoming Elli, Jill and Chris, eat to maintain a strong, fit, healthy lifestyle. and you can start eating Fitness Food today! Only $4.99 when you use your credit card or secure PayPal checkout.